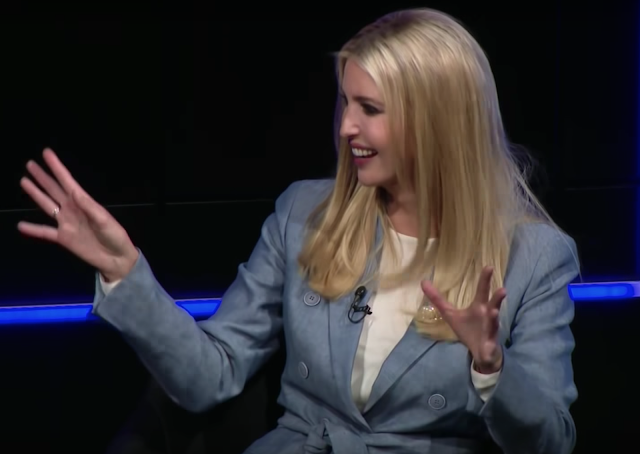 Yesterday, Axios' Mike Allen interviewed the eldest first daughter and presidential advisor, Ivanka Trump. 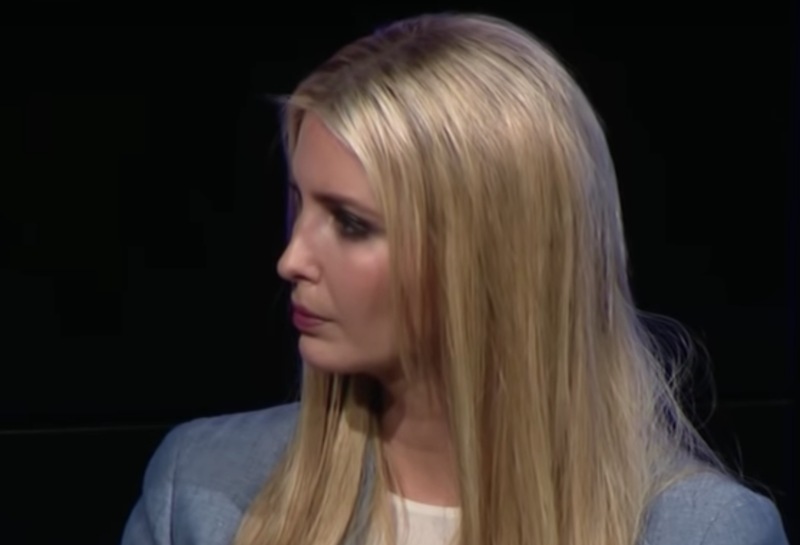 What follows is a partial nonverbal analysis of a key portion of Ms. Trump's reaction to Robert Mueller and the June 2016 Trump Tower meeting. MIKE ALLEN: Last question and then we're gonna, ah, have Jonathan Swan - have you talked to Robert Mueller or his team? And did you - know Ω about the Trump Tower meeting in June twenty Ω sixteen before it happened? Or did you see any of those visitors? 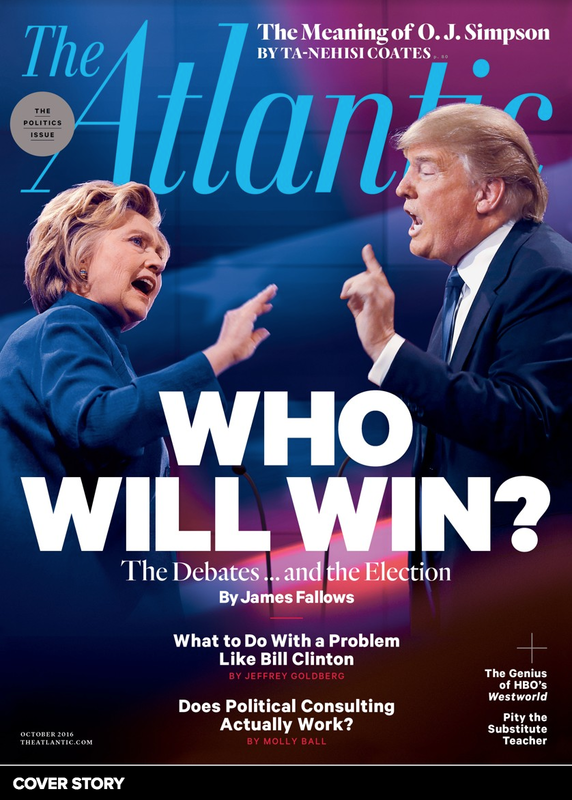 MIKE ALLEN: Jonathan Swan? Ahum, the great Jonathan Swan is gonna pick up on anything missed, nixed, orrr botched here. Go ahead Jonathan. IVANKA TRUMP: And by 'See any of those visitors', I assume - I've seen my husband. And I've se-ee-ee-en [laughing] § [gestures right hand, palm-forward and tilted-down toward journalist in a dominance/refuting display as she laughs] and I've seen my brother [laughing, now with a two-handed palm forward display] §§ but - No. MIKE ALLEN: But you didn't talk to any of the Russian visitors from there, right? 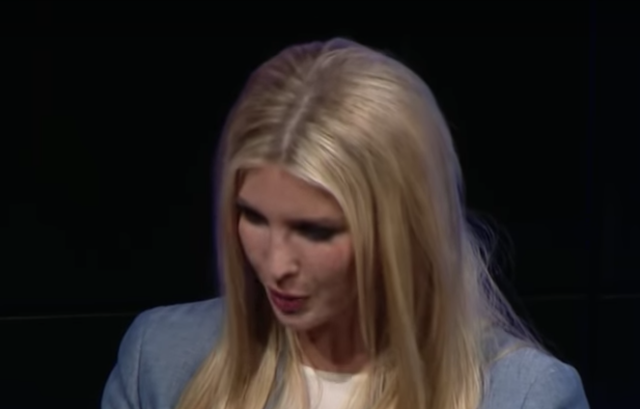 Very early in this video, during 0:05 as the Journalist says the word, "... know ...", Ivanka Trump displays a subtle yet highly significant microexpression display. Microexpressions are very short-lived facial movements indicating specific emotions. This particular microexpression was a manifestation of anxiety-fear. 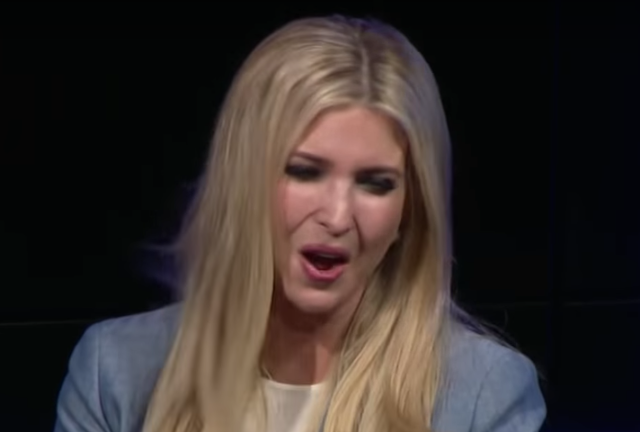 A couple seconds later, during 0:07 as the Journalist says the word, "... twenty ...", Ivanka Trump displays a second microexpression of anxiety-fear. This example is more subtle. Each of these is notated by the Ω symbol. Please watch these at regular speed, at 1/2, and at 1/4 speed - then once again at regular speed. Repeat this cycle several times. 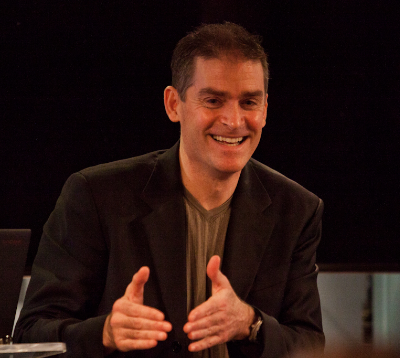 This practice will increase your ability to detect this and other microexpressions in real-time. After the Journalist finishes asking his initial question, just after he says, "... Or did you see any of those visitors? 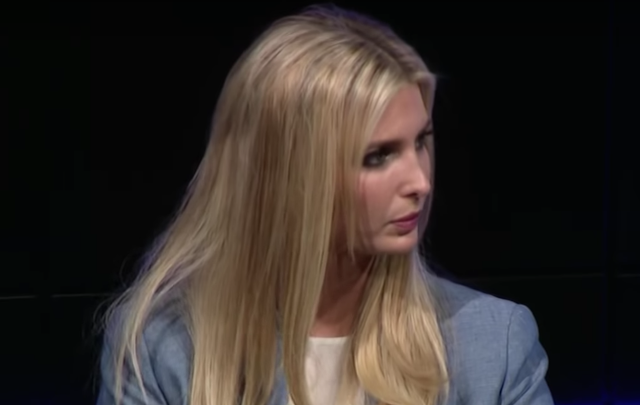 ", Ivanka Trump positions her mouth to answer. She then pauses. The image immediately above captures the moment she held her mouth configuration as she paused (during 0:10). This is a stalling behavior tactic and it's rarely fully conscious. 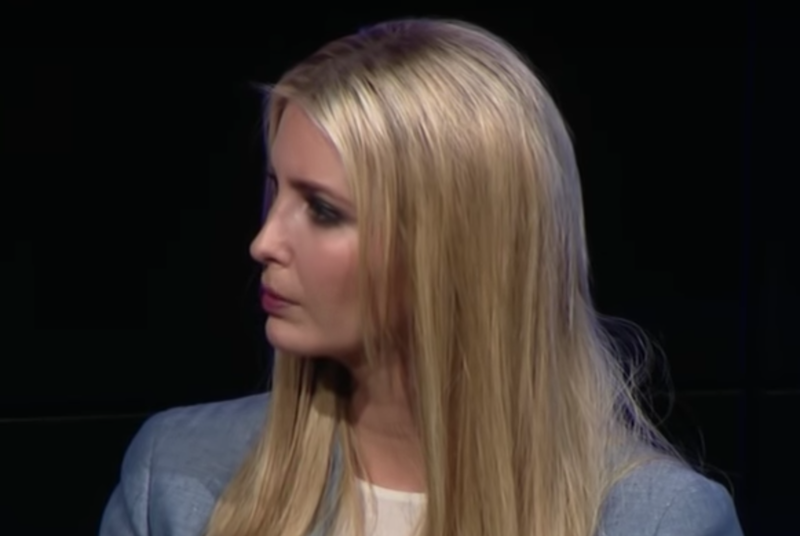 Ivanka's psyche is caught off guard and even though her answer is a simple denial, she needs more time to formulate it. Note also that she's looking up to slightly to her left. This is the quadrant most right-handed people look toward when they're recalling a visual memory (Ms. Trump is right-handed). She then smiles, laughs, blushes (during 0:11), then proceeds to answer. The subject matter at hand is one of national security and is not humorous - either from the point-of-view of the average person watching - or if one had been falsely accused in a conspiracy. Her laughter is a brief, breathy chuckle. Her smile is accompanied by a deep and long-lasting blush. She then does something contradictory and profoundly telling. Ivanka Trump nods her head up-and-down in a characteristic "Yes" gesture (illustrator) while speaking her answer, "No." She does this during 0:12 and again during 0:14. These actions are notated in the dialog by the ∆ symbols. Whenever nonverbal behavior is disparate with one's verbal behavior, it's the nonverbal language which tells their true feelings. Her up-and-down nodding (yes) was an affirmation. A detail not to be lost here, and which is also a microexpression - is Ms. Trump's evanescent Lip Pursing - which is particularly evident during the second "No" (0:14, image immediately above). A Forward Lip Purse indicates a withheld (secret) disagreement and/or a clandestine plan. Ms. Trump gestures with her right hand (during 0:28), palm forward and tilted downward in a dominant gesture just after she says, "And by 'See any of those visitors', I assume - I've seen my husband. And I've se-ee-ee-en [laughing]". This illustrator is notated in the dialog by a single § symbol. These palm-out, tilted-downward, gestures are refuting, dominating displays. 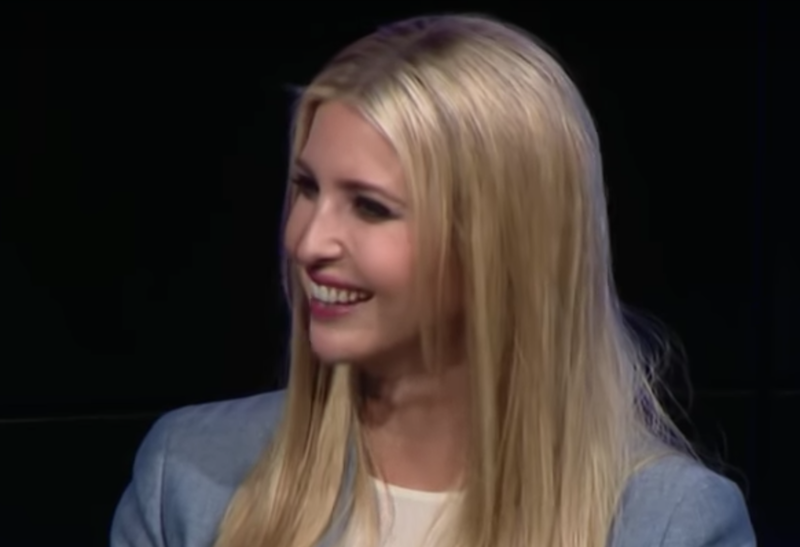 Ivanka Trump's laughing is forced and feigned - but her blushing is very real. Blushing is always significant and it can't be faked. Ms. Trump's faux laughing is melodramatic and extremely out-of-context. This is not an occasion to laugh - whether she is guilty or innocent. Coupled with her deep and prolonged blushing, it's highly indicative of anxiety and deception. This is a classic example of Queen Gertrude's observation in Shakespeare's Hamlet, "The Lady doth protest too much, methinks." And this too is a play within a play. 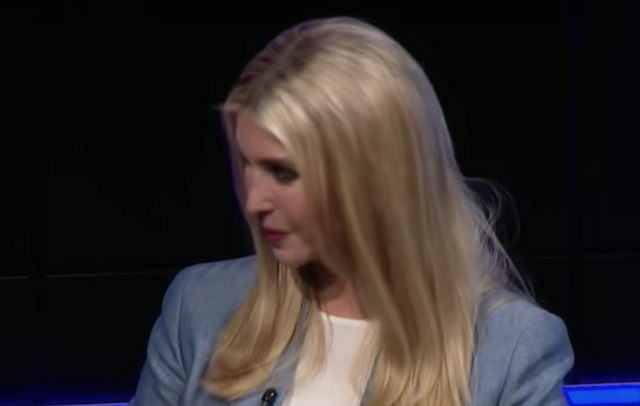 Note as Ms. Trump turns (mostly with her head, neck, and eyes - but less so with her torso) toward Jonathan Swan - and as he asks his question, she maintains a high level of anxiety. She must 'burn off' her excess adrenaline and she accomplishes this by nodding her head up and down with a relatively high frequency - during his question from 0:42 - 0:44, 0:48 - 1:03, and 1:05 - 1:06. 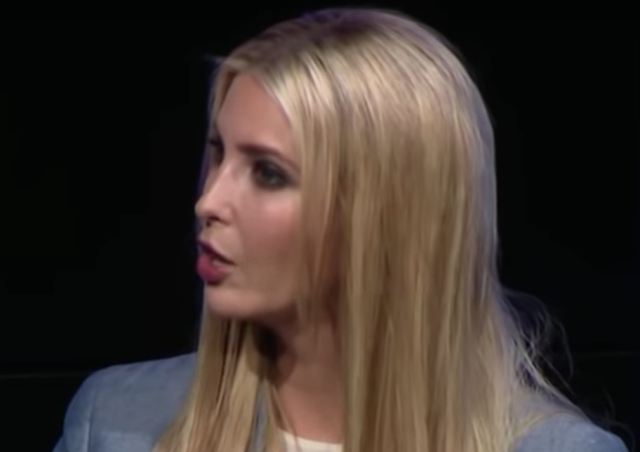 SUMMARY: Ivanka Trump's nonverbal, verbal, and paralanguage behavior displayed in this video demonstrates that, with extremely high probability, she is being deceptive and did have foreknowledge of the 9 June 2016 Trump Tower meeting.